Aerospace power player Lockheed Martin has poached Jane Terry from Rolls-Royce to help it expand its global reach in the wake of swingeing US defence cuts. Terry has been handed the new role of VP for comms within Lockheed Martin International, an arm of the US firm launched last month. She will join next month after six months as head of external comms for Rolls-Royce, where she replaced corporate comms head Josh Rosenstock who left for Apple in February. The US defence budget is scheduled to be slashed by $52bn in 2014 and by $487bn over the next ten years. 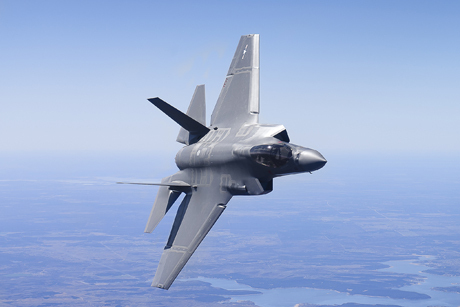 However, Lockheed Martin is continuing to report growing profits. Terry will report into Jennifer Whitlow, VP, corporate comms for Lockheed Martin. Whitlow said: ‘In her new position, Jane will be a member of the Communications Leadership Team reporting to me. She was previously public affairs manager before moving to become head of public affairs at consultancy JBP in 2007. However, Terry joined Rolls Royce just nine months later as director of marketing and comms covering defence, a role she held till her promotion earlier this year.